Meticulous in execution, Rey Akdogan’s work offers profound entryways into the most fundamental and pressing question of our time: How will communities across the planet identify, contend with, and leverage the reality and growing impact of our redundancy? Rey emphasizes objects that pepper our inhabited worlds, meditating on a visual landscape of standardization. For example: french cleats used for hanging artwork, hospital crash rails, theater props, lights, and dimmers are abstracted and recast but not before perverting the qualities that decide their function. These objects, in their being and concept, play a vital function in our built environment, yet are ubiquitous to the point of invisibility. The prominent critic Gregory Sholette, has analyzed the interdependence of acknowledged, celebrated labor with laborers who are invisible. In Dark Matter: Art and Politics in the Age of Enterprise, he frames surplus as a necessary redundancy that fuels the broader field of art making and circulation,. This line of inquiry can inform a reading of Akdogan’s broader thinking about the shape of the world we inhabit, our role in its formulation, and its impact on our psyche. Akdogan’s Carousel series provides opportunities to notice specific phenomena that the artist has identified as critical to reconstructing the making and use of the everyday packaging. 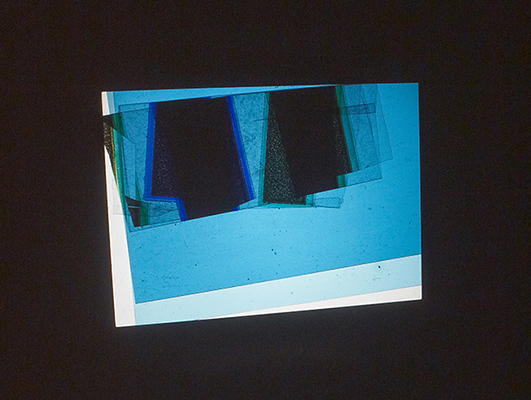 Each image is made by cutting and folding found material which is set between the glass slides. 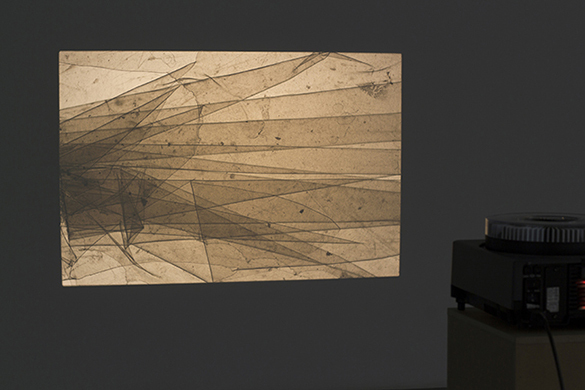 When installed, light passes through the slides, enlarging different close-up views of the packaging’s materiality. Each of the carousels tackles the function and meaning embedded in a specific physical shape or historical event. Carousel #9, 2016 makes a study of seams that structure different packages. Carousel #6, 2011 recalls the color magenta and its origins in 1859 in the second Italian War of Independence, when the French and Italian forces defeated the Austrians at Magenta in Italy. The battle rendered a landscape soaked in blood. Rey reminds us of the legacy of this ubiquitous color and its essential value to theater, the visual art, and even TV. Through careful decision, she has constructed a lexicon demanding rigorous analysis and contextualization. Rey Akdogan (born in Germany) completed the Whitney Independent Study Program in 2004 after receiving her MA from Central Saint Martins College of Art and Design in 2001. Recent exhibitions dedicated to her work include a solo exhibition at Hannah Hoffman Gallery, Los Angeles, 2017; Faction, Miguel Abreu Gallery New York, 2017; Radio Athènes, Greece, 2016; Crash Rail, Miguel Abreu, New York, 2015; Rey Akdogan, Hannah Hoffman Gallery, Los Angeles, 2014; night curtain, Miguel Abreu Gallery, 2012; off set, MoMA PS1, 2012; Silent Partner, Andrew Roth Gallery, 2012; carousels, rolls, and offcuts, Campoli Presti, London, 2011; and Universal Fittings, Common Room 2, New York, 2008. 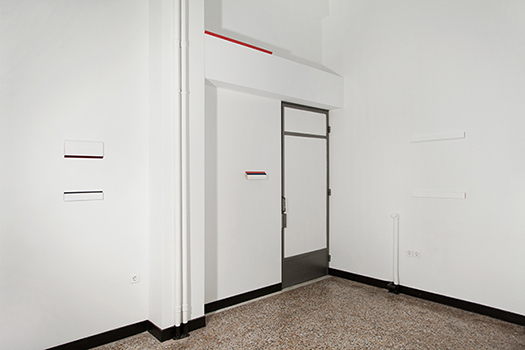 She has also been included in group exhibitions at Miguel Abreu Gallery, Real Fine Arts, Venetia Kapernekas Gallery, Simone Subal Gallery, Elisabeth Ivers Gallery (all in New York), Galerie Max Mayer (Düsseldorf), Galerie Balice Hertling (Paris), Galerie Tatjana Pieters (Ghent) and Rodeo Gallery (Istanbul). #46, a book of the artist’s work, was published by PPP Editions in 2012. Conceived as an extended footnote to her use of slide carousels and lighting alterations, it unfolds as a handheld slide projection in book form. Carousel #9, 2016, lighting gels, assorted colored packaging materials held together by slide frames, 13 min. loop (80 slides), dimensions variable. Courtesy of the artist, Radio Athènes, Athens, and Miguel Abreu Gallery, New York. 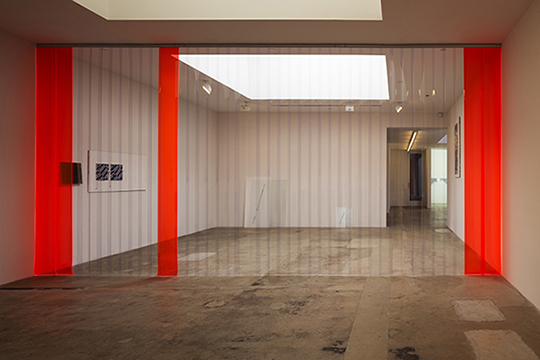 Rey Akdogan, Hannah Hoffman Gallery, Los Angeles, installation view. Courtesy of the artist, Hannah Hoffman Gallery, Los Angeles and Miguel Abreu, New York. 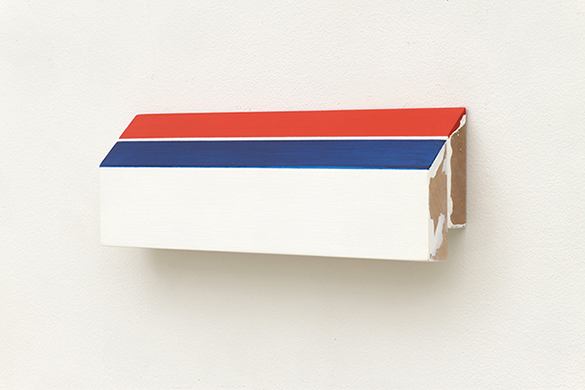 Faction #6, 2016, acrylic paint on wooden French cleat, two parts, each: 3 x 12 x ¾ inches. Overall dimensions: 4 x 12 x 1 ½ inches. Courtesy of the artist and Miguel Abreu Gallery. 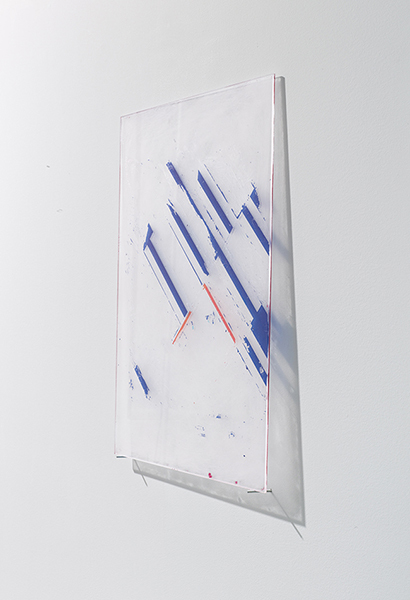 Episode IV (GF), 2014, Rosco paint, image transfer on Plexiglass, 24 x 18 inches. Courtesy of the artist, Hannah Hoffman Gallery, Los Angeles and Miguel Abreu, New York. 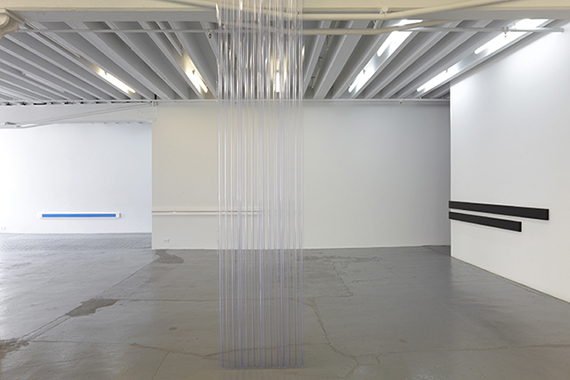 Crash Rail, Miguel Abreu Gallery, New York, 2015, installation view. Courtesy of the artist and Miguel Abreu Gallery. Carousel #8, 2015, lighting gels, assorted colored packaging materials held together by slide frames, 13 min. loop (80 slides), dimensions variable. Courtesy of the artist, Radio Athènes, Athens, and Miguel Abreu Gallery, New York. 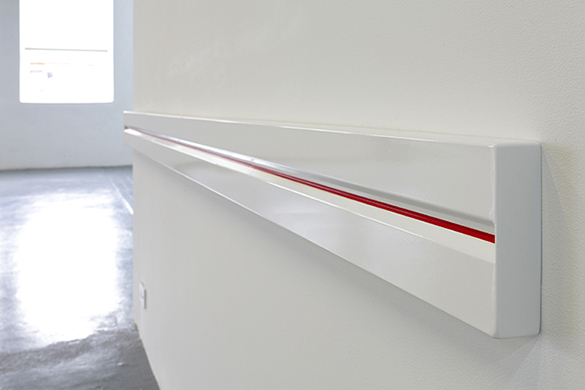 CRA 200, [HSS 500, RAL 3020] line #3, 2015, detail, powder coated aluminum, 5 ½ x 96 x 1 ½ inches. lighting gels, assorted colored packaging materials held together by slide frames, 13 min. loop (80 slides), dimensions variable. Courtesy of the artist and Miguel Abreu Gallery. 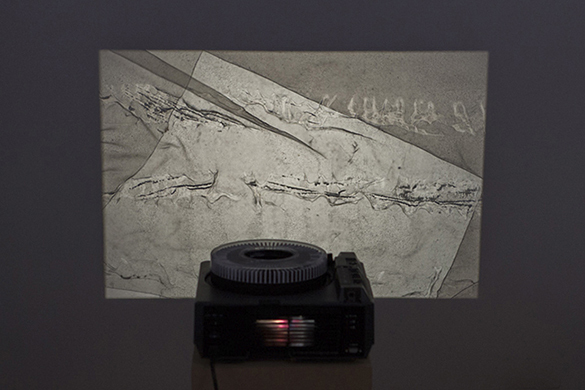 Rey Akdogan, Radio Athènes, Athens, Greece, 2016, installation view, Courtesy of the artist, Radio Athènes, Athens, and Miguel Abreu Gallery, New York. 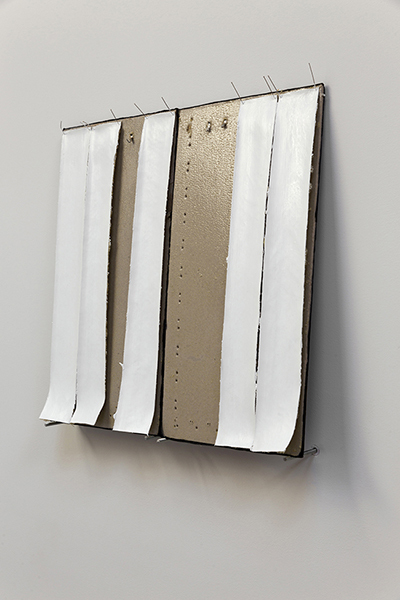 Clip on (h), 2014, acrylic paint, vinyl, boards, pins, metal, 14 x 15 ½ inches. Courtesy of the artist, Hannah Hoffman Gallery, Los Angeles and Miguel Abreu, New York. 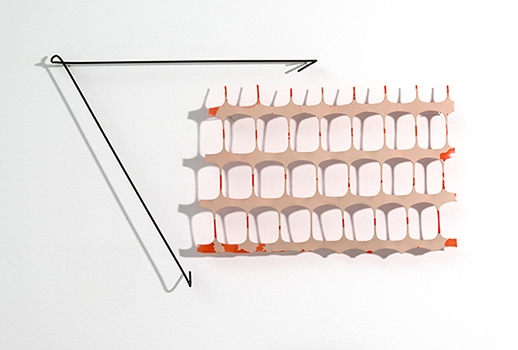 Treppenabsatz, 2013, metal plant support (fragment), plastic barrier fence, acrylic paint, 11 3/16 x 19 5/6 inches. Courtesy of the artist and Miguel Abreu Gallery. Carousel #1, 2010-2012, lighting gels, black Cinefoil, and assorted colored packaging materials held together by slide frames, approximately 13 min. loop (80 slides), dimensions variable. Courtesy of the artist, Radio Athènes, Athens, and Miguel Abreu Gallery, New York. 2017 © Design by WonderCrate.